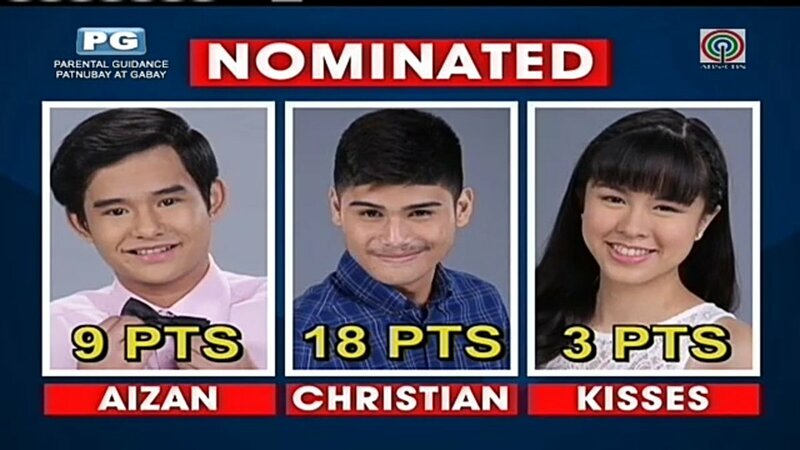 MANILA, Philippines - Three housemates were nominated for eviction on PBB: Lucky Season 7 teen edition, Big Brother announced during the first nomination night on Tuesday, August 23, 2016. The first set of nominees based on conventional voting system includes "Courtside Kusinero ng Zamboanga" Christian Morones, "Old Skulit ng Batangas" Aizan Perez and the "Miracle Daughter ng Masbate" Kisses Delavin. Host Toni Gonzaga said that there will be no public voting for the first nomination. Nominated housemates need to defend theirselves through the 'Lig-task' challenge. "Once the 'Lucky 7' teen housemates were revealed, the the public will have chance to vote for their favorite housemates," Gonzaga added. PBB on Tuesday night topped Twitter trending list with '#PBBTeen1stNomi' in the most talked-about topics. Find out who will be Kuya's first evictee this week.